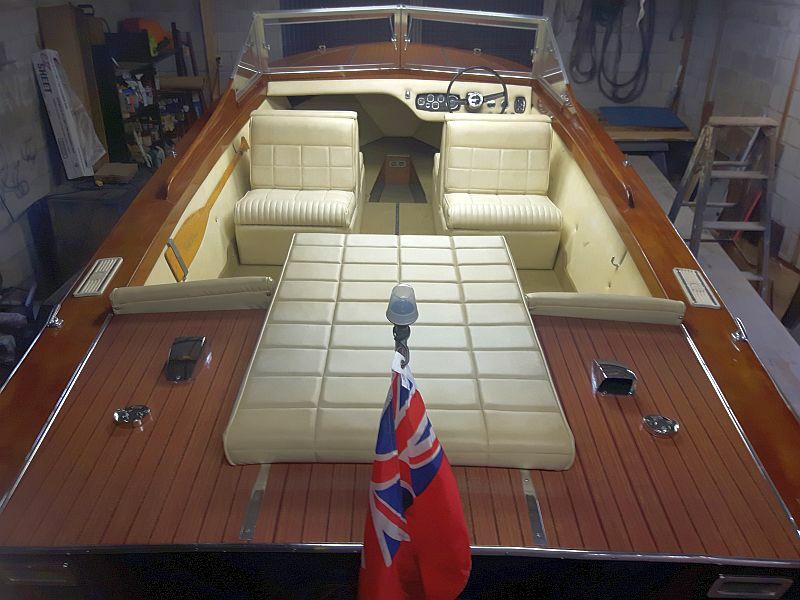 Two new listings: a handsome Greavette and a masterpiece wherry. 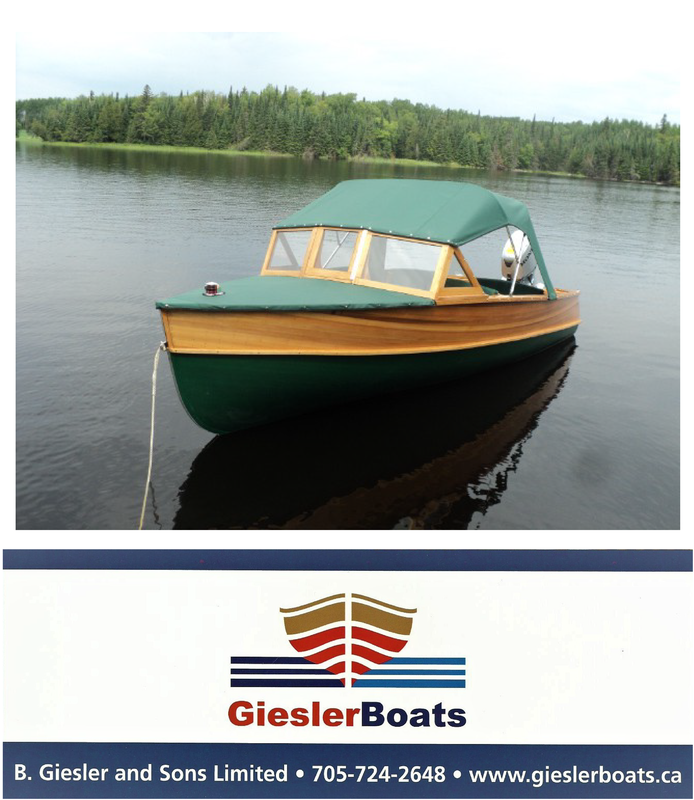 This attractive Greavette shines with a recent refinish. See notes from the owner and additional photos below. 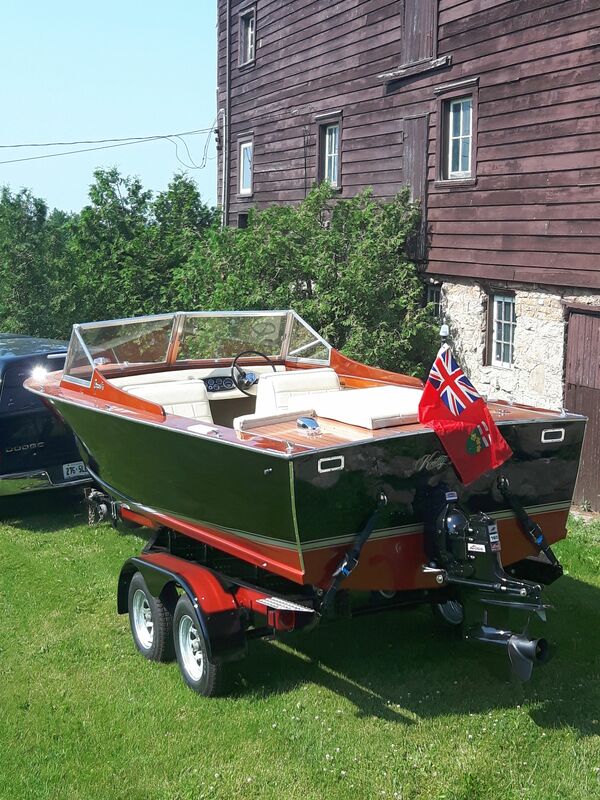 To view a brief video of the boat, click on the image below. Additional photos below. 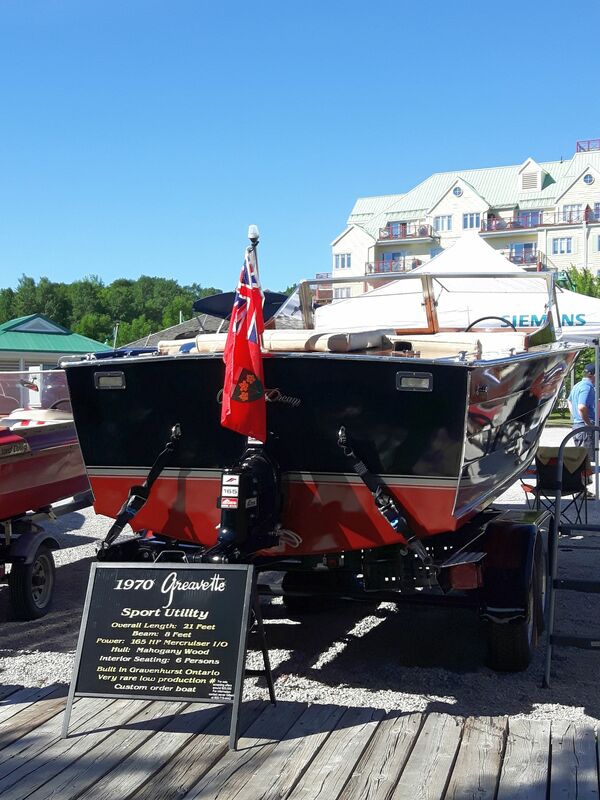 (This rowing wherry (also convertible to sail or 4 hp outboard) is truly a work of art by a master craftsman. 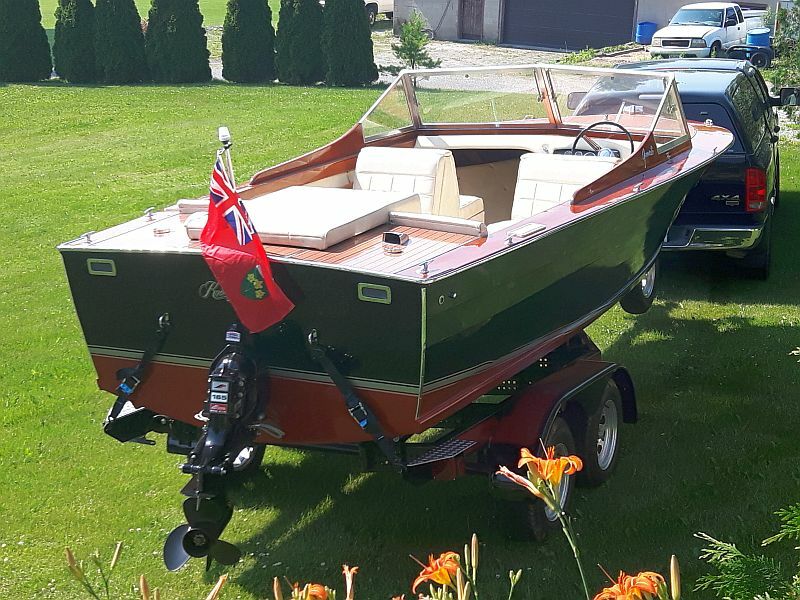 See notes from the owner/builder below. Hello and thank you for viewing this ad. 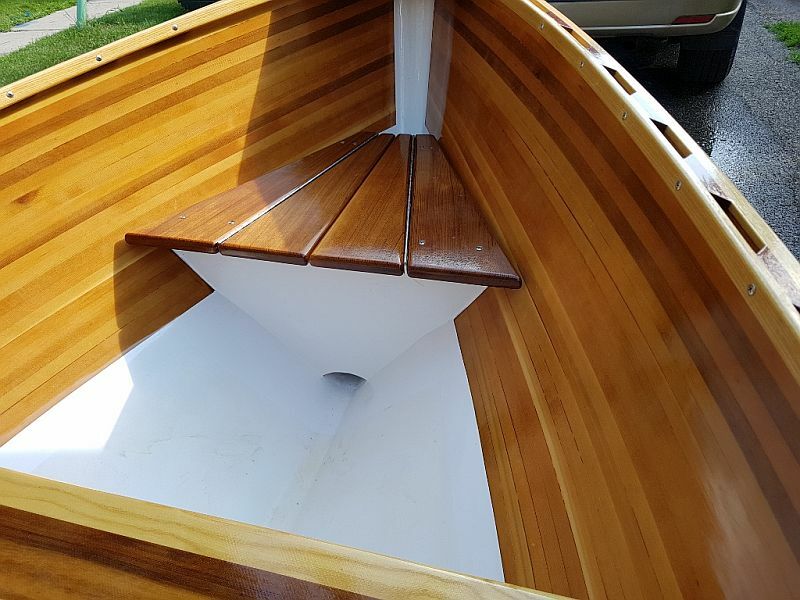 I am selling my recently completed 14′ Cosine Wherry Row Boat. 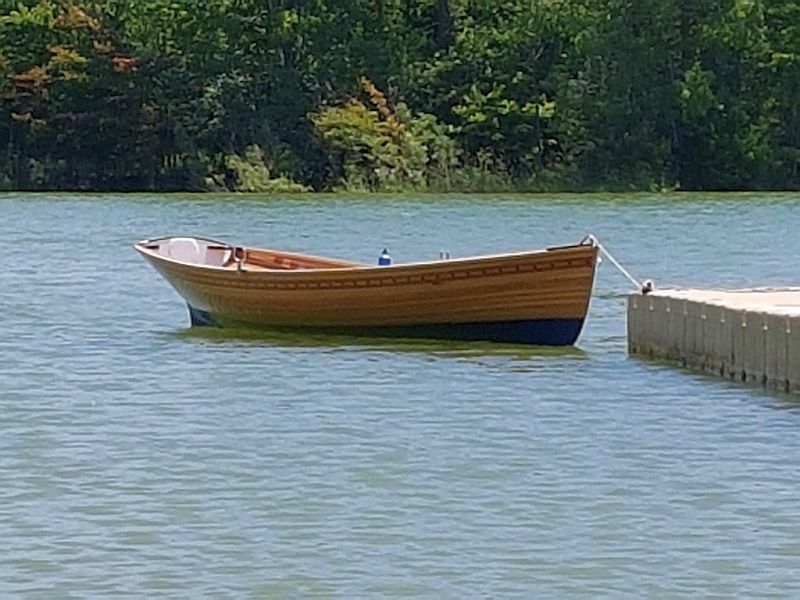 I have been a professional woodworker for over 35 years and built my first canoe when I was 18 years old. 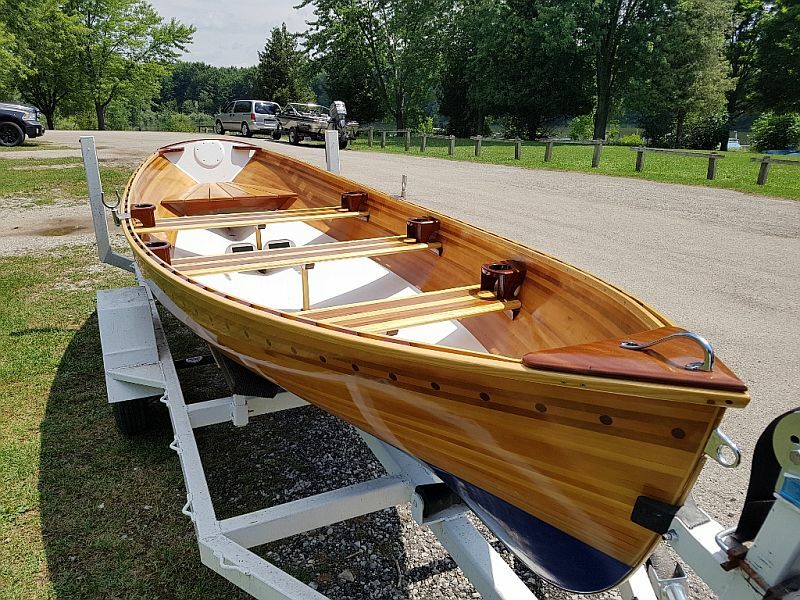 I am very meticulous and can assure you that the utmost care and quality has gone into the construction of this boat and it’s custom made oars. 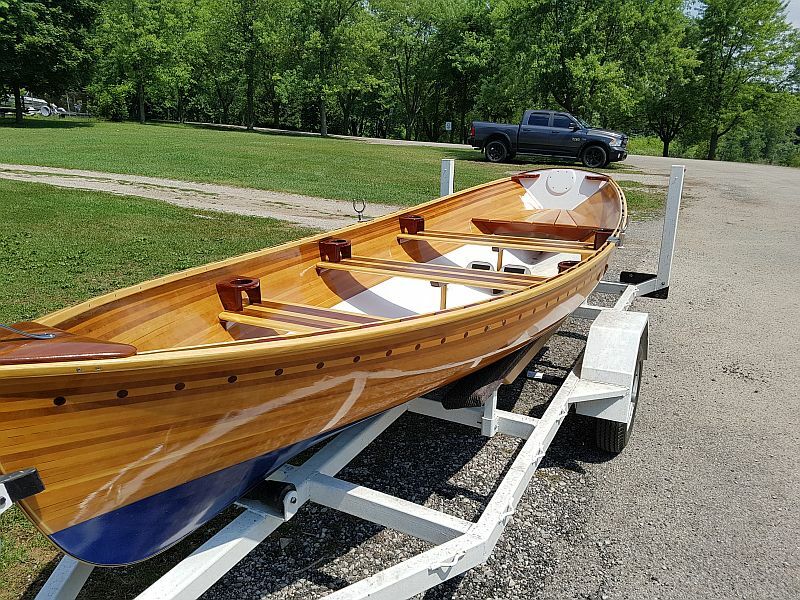 The Cosine Wherry was designed by John Hartsock and plans provided by J.D. Brown’s book, Rip, Strip and Row. (The wherry will also take up to a 4 h.p. short shaft motor.) 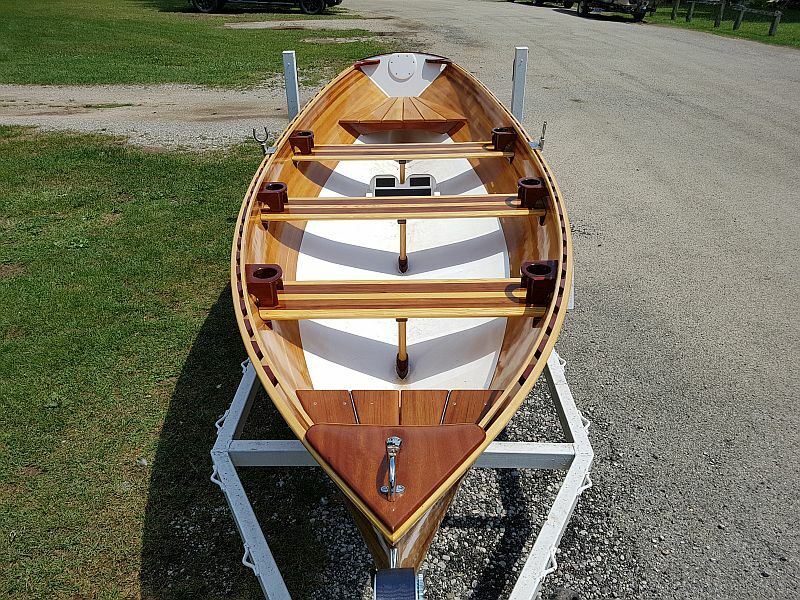 The Cosine Wherry is a slick, streamlined vessel with beautiful lines that is a rower’s dream. 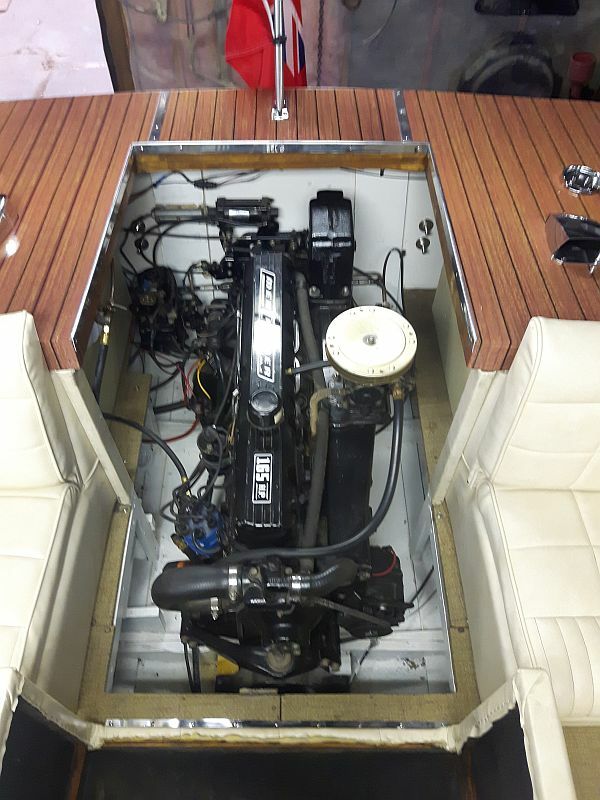 It measures 14′ with a 52″ beam, weighs in at about 110 lbs and has a 500 lb. plus displacement. I began construction part time in September of 2015 and completed the vessel in late July of 2017. The vessel has been tested 3 times since its completion under varying conditions for a total of about 6 hours on the water. First, early August of 2017, its maiden voyage as a single rower in flat water. Second, late August of 2017 as a single rower and overloaded with 4 adults and a total of 610 lbs. in rougher conditions. 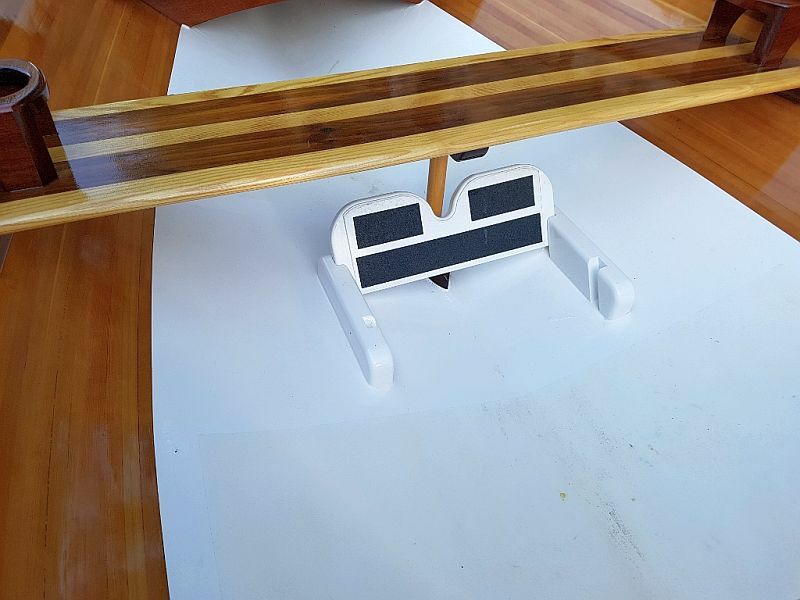 The boat was then stored indoors for the winter until this July 2018, where it made its third test as a single rower with two passengers in very windy conditions. 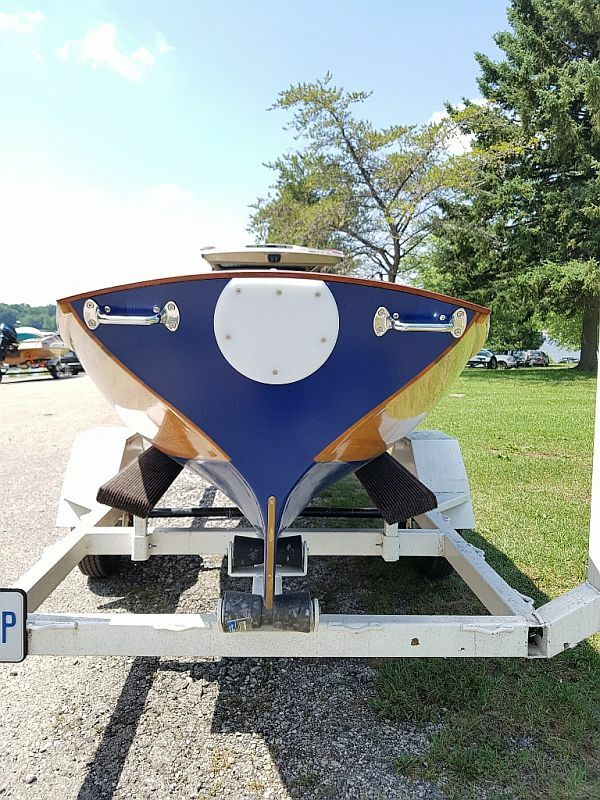 The boat performed flawlessly in all three tests. 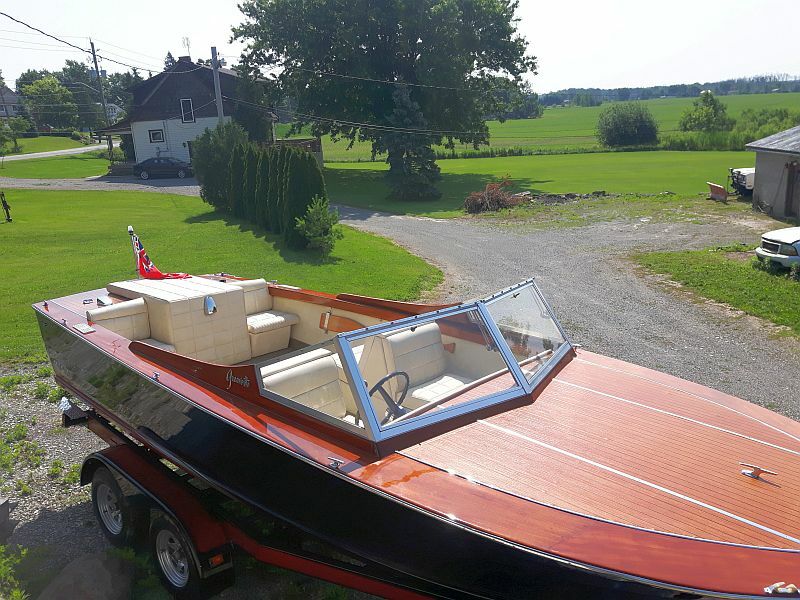 It is very saddening to sell it, but like all of my projects, they are done for the woodworking experience and as a project, and eventually all but a few get sold. 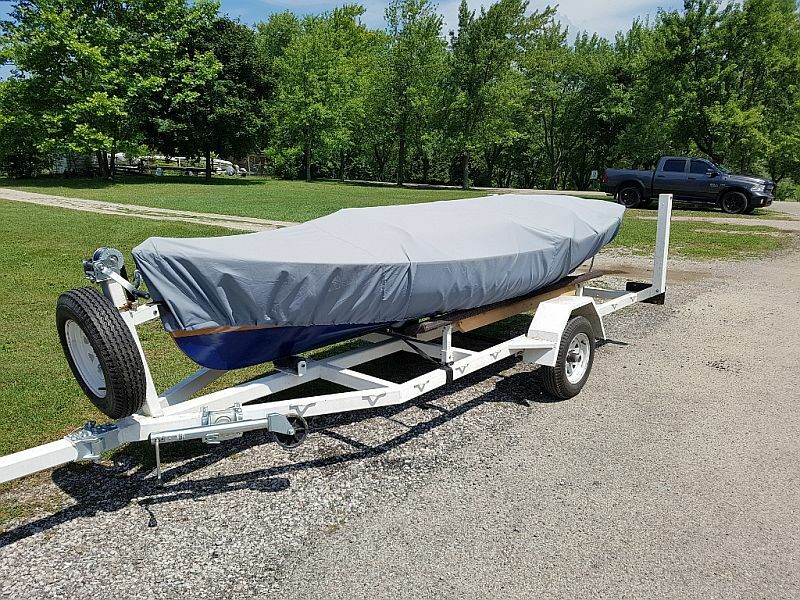 Price: $12,500 For a detailed description of the boat, custom oars, trailer and contact information, please click on the link. Ad number pb833 Additional photos below.